WHY CAN'T I HOLD MY EVENT DURING THE DAY AT MERLIN ATTRACTIONS? 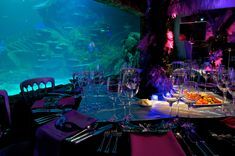 Madame Tussauds, the SEA LIFE London Aquarium, the London Dungeons and Shrek’s Adventure are open during the daytime to the public, therefore cannot be used for daytime events, but they are totally worth it if you want to hold on until the sun goes down. You can also take a look at Unique Venues of London for inspiration on daytime spaces if needed. HOW LATE CAN MY EVENT GO ON UNTIL? All of our attractions luckily hold a license until 1am. DO YOU HAVE DISABLED ACCESS WHEN HOLDING AN EVENT AT MERLIN ATTRACTIONS? Yes we do, each venue is different but we do have access. Do speak to one of our fab event managers who can discuss specific details with you. WHAT IS THE MINIMUM NUMBER OF GUESTS I CAN HOST AN EVENT FOR? We do kindly ask for a minimum of 50 guests for our private events across all of our attractions. However if you’d like to request a bespoke quote for a slightly smaller number of guests, please get in touch. We have selected 3 of London’s best caterers which we constantly monitor to ensure they deliver your event to a high service standard. We believe that having a small list means that we can develop strong relationships with the caterers, and they work here so frequently they know our venues intimately. We have also selected 3 specialist caterers that can be used for specific events. These are the only caterers who could cater your event in the Merlin way. You can find their details on our Events Partners page. I NEED A SPECIALIST CATERER ON MY EVENT. CAN I BRING MY OWN? We have a range of kosher and Indian caterers who have been carefully selected to assist with any specialist catering needs you have. All our preferred caterers can also work alongside you to ensure you get the specialist catering needs you require, bringing in specialists if necessary. You can find details of our specialist caterers on our Events Partners page. CAN I BRING MY OWN ENTERTAINMENT/TABLE CENTRES? Entertainment and theming on your event can only be provided directly by Merlin Events or via our preferred suppliers. You can find details on our Events Partners page. We also work directly with a lot of tried and tested acts, which ensures you get the best price and performances! Get in touch with the team for inspiration on how you can enhance your event. WHAT TIME CAN I COME IN TO SET UP MY EVENT? As we are open to the public in the daytime, we have a very quick turnaround to make the attractions into award winning event spaces. All our venues are turn-key; meaning they are fully equipped with all sound and LED lighting, plasma screens for branding, furniture and kitchen areas, and making turnaround efficient, quick and seamless. 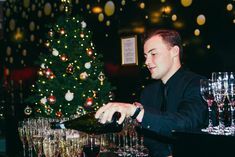 You would not need to arrive at the venues any earlier than 6pm, even for large scale Awards Dinners as we have provided all you need to make the event a success. Still have concerns? Watch this time lapse video which shows how Madame Tussauds is turned around from daytime to event space! Watch a timelapse of Madame Tussauds being set up for an event! WHY CAN'T I BOOK FOOD OR DRINK FOR A LONDON EYE PRIVATE CAPSULE ONLINE? All hospitality requests do need to come through the events team as we need to book the appropriate staff to ensure your event is perfect. It is a quick and easy process we promise. CAN I BOOK LONDON ATTRACTION TICKETS WITH YOU? Unfortunately we cannot book standard attraction tickets for you, however if you visit any of the attractions websites, you can book tickets online. Easy. WHY CAN'T I FIND A PHONE NUMBER ONLINE TO CALL FOR EACH ATTRACTION? All of our attractions are only bookable online so do not have a phone number you can call. There is however an online help chat available where you can speak to a friendly member of the attraction team. If you have any questions then please do feel free to use this option.